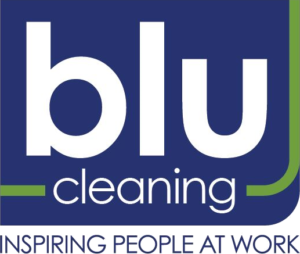 Blu Cleaning cleans windows in and out. 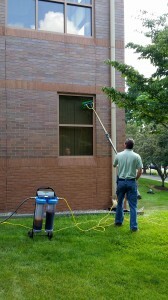 For exterior windows we use a HiFlo De-Ionization system by Unger. The De-Ionization system produces water without any traces of soot or chemicals to leave the windows and sills spot free. Because the water is De-Ionized, the windows dry spot free without the need to squeegee. The system also has waterfed poles enabling us to clean windows up to 3 floors or more along with different brushes for different surfaces and angles.